Some random thoughts are harbouring in my mind. Each one of them can’t be made subject of an entire blog post, so I decided to merge them in one post under the name of Random thoughts. These thoughts are mainly about my experiences and encounters as a Pakistani blogger, who has tried to get his articles published on Top national blogs of Pakistan. I have had some interesting, strange and at times weird experiences that I find appropriate to share with the readers of Clickmania. 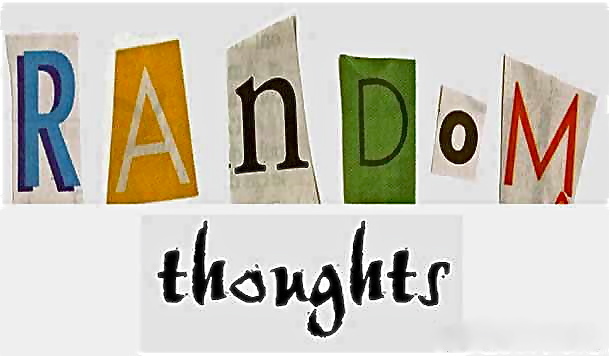 I hope that these random thoughts can be of some value for the readers and especially for those who are involved in blogging, one way or the other. During the last days of January this year, I wrote an article about the need to stop sms spamming in Pakistan. I sent that article to TheNews International Blogs, blog of the one of the leading English dailies. I did not get any response and my article was not published when I checked it couple of days after submission of article. I published that article on this blog, that’s what I do to all the articles that are not published on national level blogs. After a week, when I was casually searching for my article on Google, I was amazed to see that it had been published on TheNews blog. I opened the article and was both happy and puzzled. Happy because my creative work was published and puzzled because it was published under someone else’s name. This was a very weird experience for me and first of its type on blogosphere. It had never occurred to me previously that my intellectual property could be stolen in this manner. I contacted the person under whose name the article was published. She replied by saying that she had nothing to do with this and it must have been a mistake on TheNews part. Later, I contacted the in charge of TheNews blog via email. She also replied once, saying that she will look into it, and then there was no reply whatsoever again. I continued my efforts to get credit for my work and sent numerous complaining emails to different people in TheNews Blog team but all in vain. All my cries fell on deaf ears and after sometime I stopped pursuing this matter. What could be the possible reason for this blunder by TheNews? I thought about it and reached on conclusion that if the author under whose name it was published, is telling the truth then the Carelessness of TheNews management is responsible for it. They might had selected my piece initially and then mixed up the names of authors either unintentionally or on purpose. Anyhow, my landmark article was published on StatesTimes.net and MSN Arabia under my name, which obviously delighted me. Article published on TheNews blog Under different Author’s name. I am actively blogging since December last year. During this period I have contacted many national level blogs for different reasons. On most of the occasions their attitude is very discouraging for the new bloggers. They often don’t respond to the mails and if by any change they do, then these replies are very short and don’t completely answer the questions asked. We all can understand that they receive numerous such mails daily, but they have to realize their responsibility and hire couple of people for public relationing. This won’t put any dent on the profits earned by the online editions of the newspapers at all. Their unwillingness to respond to the emerging bloggers is discouraging and sad and this attitude must be changed without any further delay. A blogger can get more readers if his blog is listed on a blog directory. 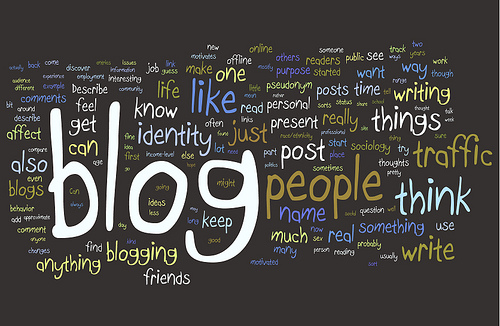 In Pakistan there are few blog directories which ask bloggers to submit their blogs. I have submitted my blog on three of them, and then I was told that my blog would be considered in 4 to 5 days. Now it’s been almost a month and there is no reply whatsoever, I have contacted them about the status of my blog inclusion in blog directory, just like TheNews no reply from them. Despite my repeated mails there is complete silence on the other hand which is criminal attitude. They can at least let me know that my Blog has not been approved, that’s enough for me to stop running after this matter anymore. Small blogs and blog directories are a bit better in terms of replying but when any such site grows to national level then they inherit the arrogant attitude as mentioned above, which is condemnable. There are some people who are fascinated by the idea of writing something and others just want to express themselves, blogging is the simplest solution for both. Since everyone can’t get their creative work published in newspapers, blogging has become so popular because of the ease one can publish anything on his personal blog. However the purpose of expressing oneself can only be achieved if there are sufficient number of readers, which can’t be achieved without the help of so-called National level top blogs and blog directories. As long as they don’t encourage the struggling bloggers, the latter will remain under the shed of dark clouds of anonymity and their voice unable to reach beyond a certain boundary. I am sure this would be a horrible nightmare for any blogger which He will try to avoid at all costs.